Finished reading Victor Wooten’s The Music Lesson this week. Mr. Wooten is perhaps known best as bassist with Bela Fleck & the Flecktones. I like to underscore in pencil favorite book parts: words I’m learning for the first time, phrases I think will make good song titles or songs per se, new concepts/ideas. When I want to highlight a book part I might want to find again in the future I underscore the part, and next to the part in the book margin I write a small checkmark. When I really want to remember a book part I underscore the part and, in the margin, write the word key. My copy of The Music Lesson has plenty of underscoring, plenty of checkmarks and places where the word key is written in the margins. For example, here’s a paragraph from a chapter on technique. So, thank you, Victor Wooten for a keeper book. 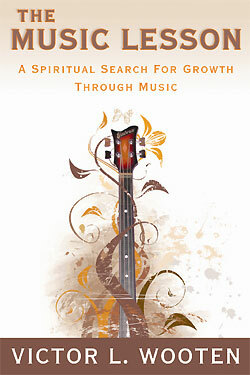 This entry was posted in Drum/Music News and tagged book, The Music Lesson, Victor Wooten. Bookmark the permalink.